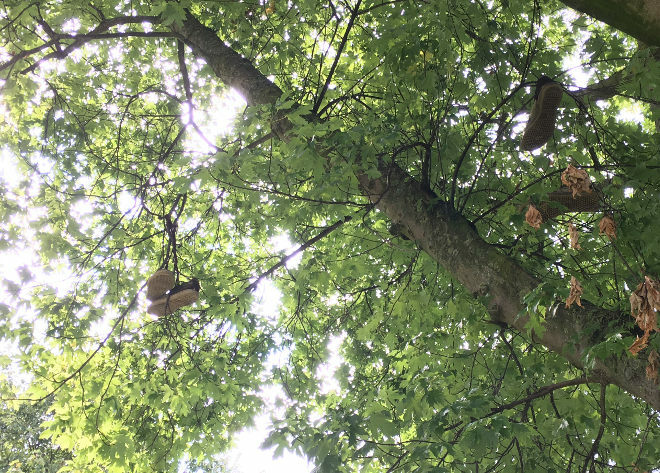 My nephew spotted this tree full of shoes and asked why people choose to do this with their footwear. I’ve heard a number of theories over the years, but love the fact no one quite seems to know a definitive answer. Why not make up your own scenario that could explain this phenomena? What message might the shoe casters be trying to spread? And how might the trees respond?